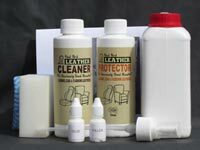 Leather Care, Repair And Restoration Products ... Direct From My Workshop! "If you're looking for seriously good results, then here are the exact same products I use for professional leather work." To help you choose the right product for your leather, select one of boxes below. 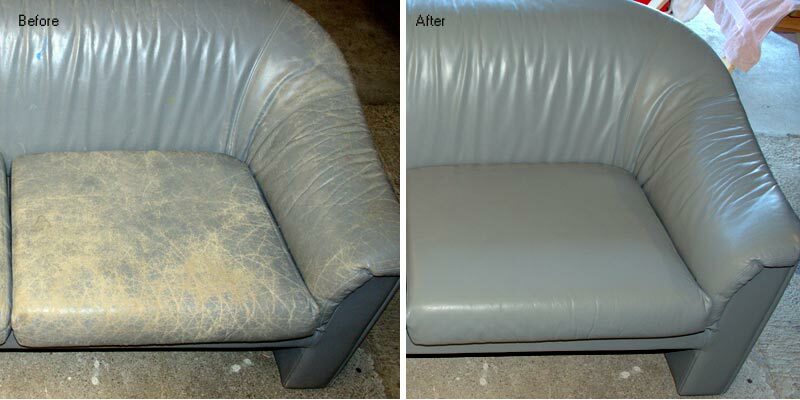 Every thing you need to clean, condition and protect car, lounge and other upholstery leathers. 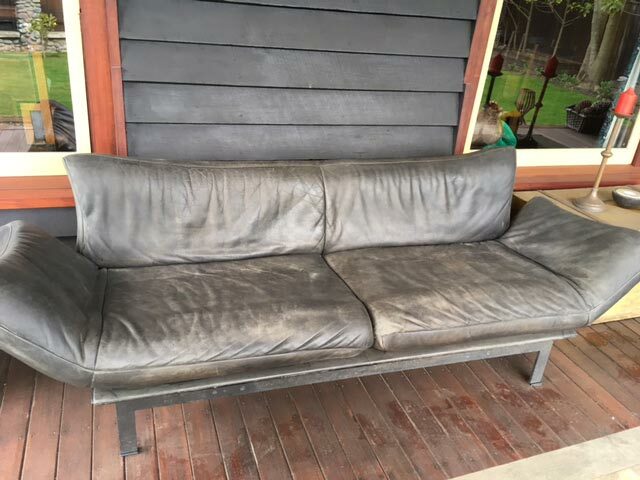 If want to clean, condition, repair or restore your leather using the exact same products I personally use for professional work ... you've come to the right place. An important aspect to achieving this, involves the use of high quality repair and finishing resins and leather care products i.e. cleaners, conditioners and protectors. All of the ingredients used in the restoration and care products are the same as used in the tanneries when making new leather. There are many different brands on the market but I've personally found the results of these to be very average and not what I'm looking for. So, with a lot of help from the tanneries, my own leather care system was created from the ground up ... ticking ALL the boxes of my stringent standards. So here they are ... my leather care products. 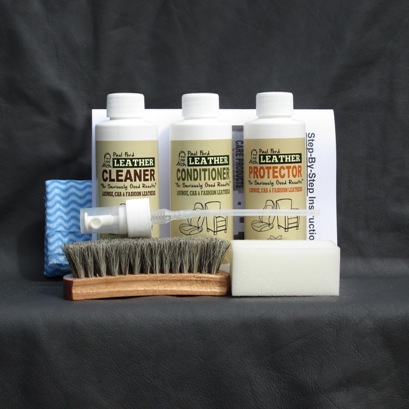 The Leather Care Kit contains everything you need to clean, condition and protect your leather ... and is the most cost effection option. 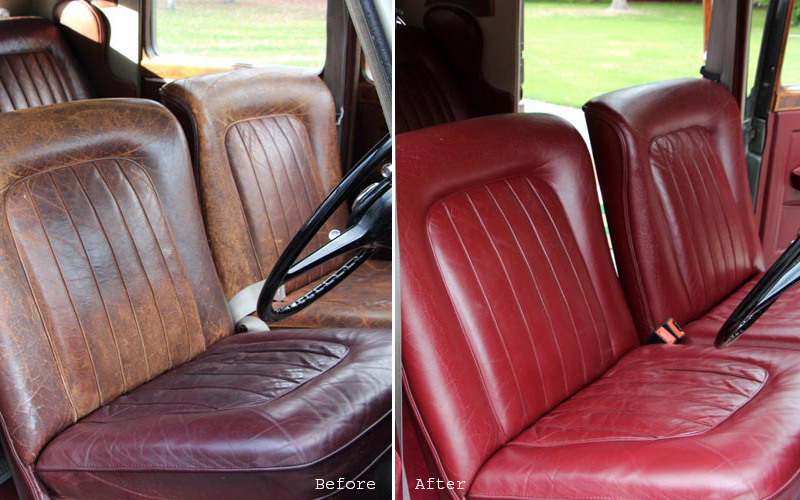 The Leather Cleaner easily removes soiling without damaging or drying out your leather. Made from the same oils used in the tannery, the Conditioner will for moisturise your leather keeping it soft and supple. The Leather Protector forms an invisible wax film over the leather to help prevent remature wear and ageing, and also give your leather a warm natural feel. I also have care products for Waxed Oiled, Pull-Up leathers. With such a demand from folks wanting to fix and restore their own leather, I've put together a range of easy to use, DIY products... saving you paying a professional to do it for you. Many folks don't believe they can achieve professional results, but the truth is, you can and it is really quite simple. Have a look at the testimonials and stories people have sent me and you'll see what I mean! 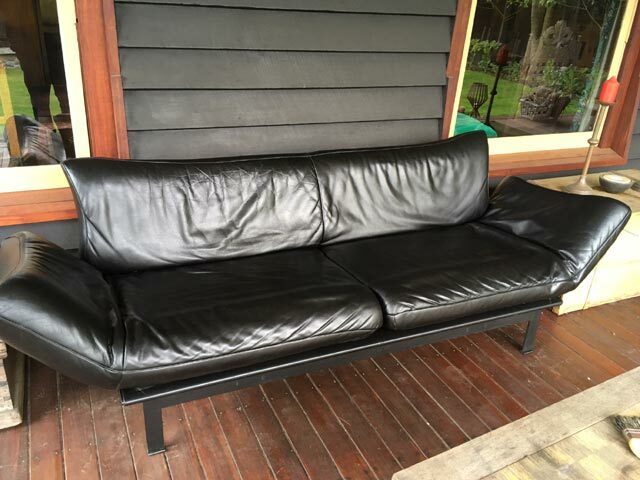 With normal wear and tear, leather will eventually lose its colour. 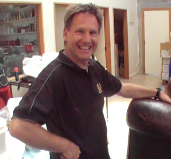 You can recolour and rejuvinate your leather with one of my custom made leather restoration kits which are made up from the same products I use for professional work. "With over 30 years experience in leather care and restoration, here's my own personal range of products you can use for seriously good results." Here are some photos proving that ordinary folks can achieve amazing results... and saving themselves thousands of dollars in replacement costs. 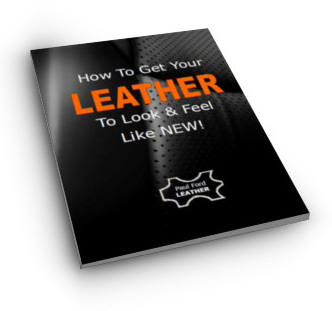 "How to get your leather to look and feel like new". No matter what condition it's in now.